Kew Gardens are the Royal Botanic Gardens having an area of 121 hectares. These are comprised of gardens and glasshouses between Kew, which is located in south-west of London and Richmond. The name of the organisation which runs this garden and Wakehurst gardens in Sussex is also called Kew. It is an internationally important scientific botanical research and educational institution with a staff comprising 700 people and an income of £56 million for the year ended 31st March 2008. It gets around 2 million visits per year. The Director of the Royal Botanic Gardens, Kew, is responsible for the world's largest collection of living plants. It employs more than 650 scientists and other staff. The herbarium, which is the one of the largest in the world, has over 7 million preserved plant specimens whereas the living collections include more than 30,000 different kinds of plants. The library contains more than 750,000 volumes, and the illustrations collection contains more than 175,000 prints and drawings of plants. The Kew site includes four Grade I listed buildings and 36 Grade II listed structures in an internationally significant landscape. Find out more about the many features of Kew and everything you can see during your visit. To help you plan your day we have picked out the top four most popular attractions, but there is lots more to see amongst Kew's 300 acres, and a wealth of history to explore. Experience a tropical rainforest environment inside this, Kew's most iconic building. Climb 18 metres into the tree canopy for a spectacular bird's-eye view of Kew. Our biggest public glasshouse, and home to the world's tallest indoor plant. Containing ten climatic zones and a huge variety of plants, including orchids and cacti. Explore our A-Z guide for more information on everything there is to see at Kew Gardens. It is BEST to purchase tickets at Kew Gardens on the day of your visit as online tickets might take upto 7 days to reach your door step. Tickets can be purchased online for Kew Gardens, but they are not yet available online for Wakehurst Place. Separate charges apply for Kew Palace. Kew is situated on the London Underground, 10 miles from central London and next to the River Thames. 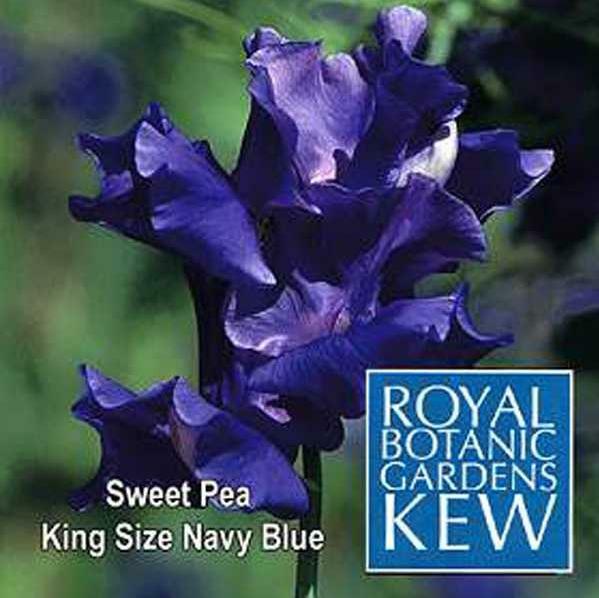 Royal Botanic Gardens is located at Kew, Richmond, Surrey, TW9 3AB. We encourage you to visit Kew Gardens via public transport. Kew Gardens station (District Line, London Overground) is the closest London Underground station, and is in zone 3. From Kew Gardens station it is a 5 minute walk to Kew Gardens (Victoria Gate entrance). Exit the station through the row of shops and walk down Lichfield road (opposite) to reach Victoria Gate. Please always check the Transport for London website for service disruptions before making your journey. Train services (South West Trains) from Waterloo, via Vauxhall and Clapham Junction, stop at Kew Bridge station. From Kew Bridge station it is a 10-minute walk to Kew Gardens (Main Gate entrance). For more information call +44 (0)8457 484950 or visit the National Rail Journey Planner. Routes 65 and 391 stop close to the entrance gates. Routes 237 and 267 stop at Kew Bridge station. Kew Gardens is well signposted from all the major local roads. The South Circular (A205) passes the north-east corner of Kew Gardens and Kew Road (A307) forms the eastern border. Please note that Kew has no coach park, however coach parking is free on Kew Road (A307) after 10am. Groups are advised to arrive at either Victoria Gate or Main Gate, but note that only Main Gate has a designated coach drop off point. See our groups pages for more information. The directions above are to the Kew Gardens car park, near the Brentford Gate, which is reached via Ferry Lane, a narrow turning off Kew Green (TW9 3AF). The car park takes 300 cars so parking is limited. Parking has a flat fee of £6. There is no charge for motorcycles and mopeds. The car park closes half an hour after the Gardens close. There are disabled parking spaces in the car park and further spaces are available adjacent to Main Gate on Kew Green. Free parking is also available on Kew Road (A307) after 10am every day. From here the nearest entrance is Victoria Gate. This road is congested at peak times, so it may be easier to come via public transport. Please note that parking restrictions apply on most of the residential streets around Kew and on parts of Kew Road, please check parking restrictions carefully. Coaches are advised to arrive at Victoria Gate and park on Kew Road (A307). Coaches are not allowed to park around Kew Green. Bicycle racks are available at Victoria Gate and Brentford Gate entrances. The racks at Brentford Gate are located in the adjacent car park, and is a covered shelter. There are also bike racks situated outside Main Gate. Our current Visitor Information map is available from ticket offices on arrival, or you can download a pdf here. Find out where you can eat, drink and shop during your visit to Kew Gardens. The present entry point for Brentford Gate opened in 1847. It has a pair of simple cast iron gates supported on Portland stone pillars. Located at the southeastern tip of the Gardens, Lion Gate opened in around 1845. It comprises the original single wrought-iron gate supported by pillars of yellow London brick. Kew’s Main Gate stands beside Kew Green on the northern edge of the gardens. It is now a Grade II Listed building. The Grade I listed Orangery is Kew’s only surviving plant house designed by Sir William Chambers. Kew’s Victoria entrance comprises a pair of imposing double gates with flanking single side gates designed by William Eden Nesfield.